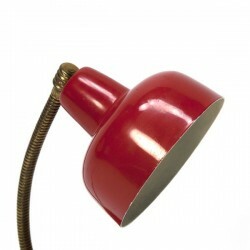 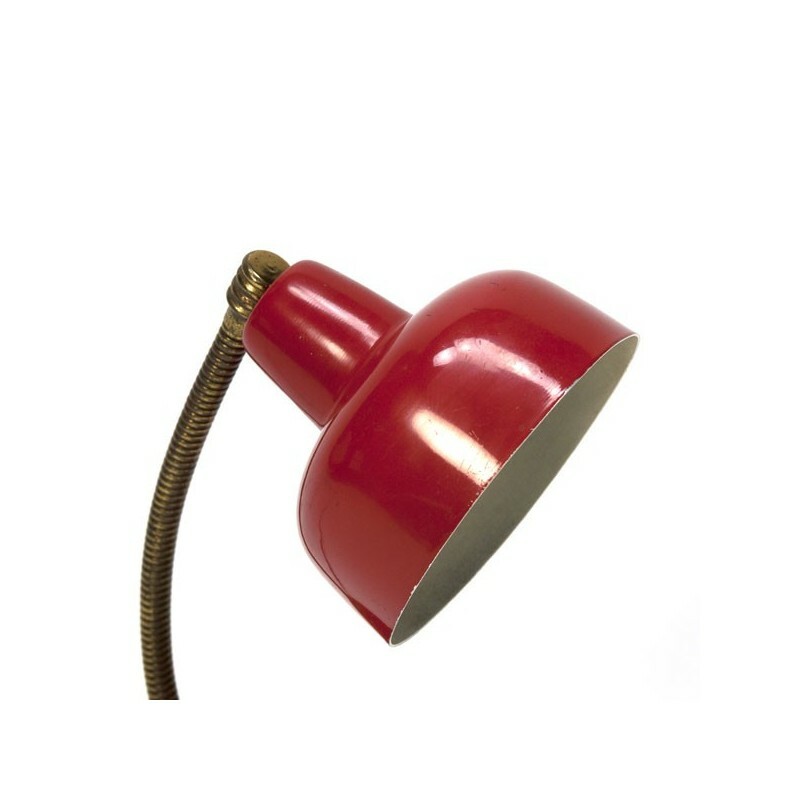 Vintage table lamp in red metal with flexible arm brass colored. 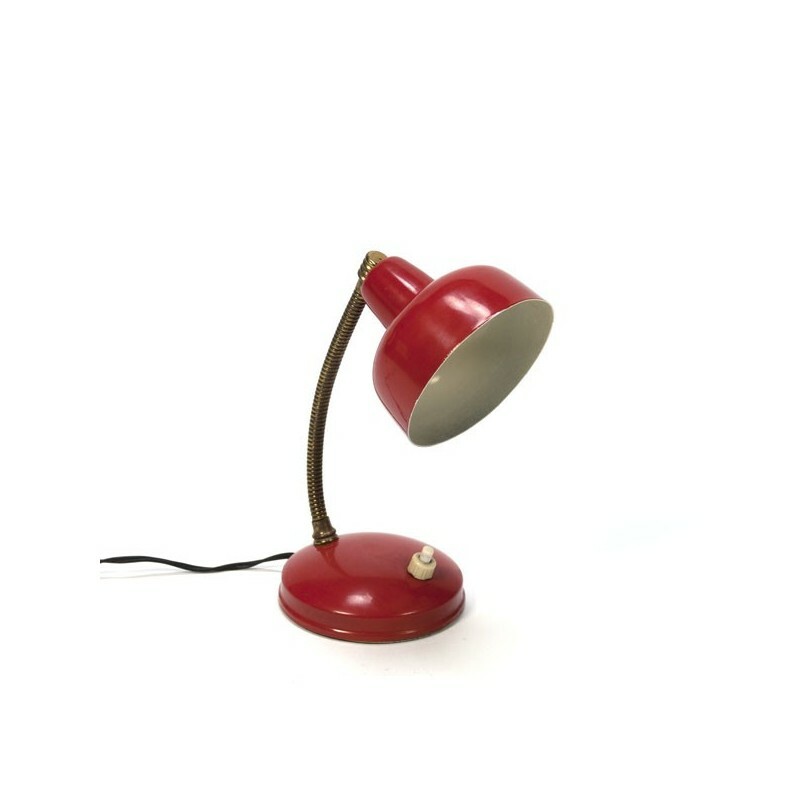 The condition is good considering the age, slight traces of use. 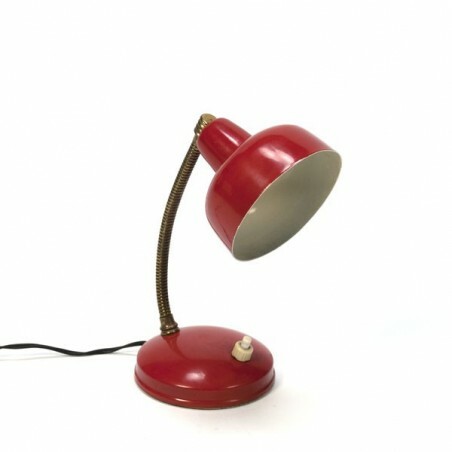 The size is 21 cm high and the cap is 9 cm in diameter.